← Q: My child is telling lies, how can I help him? We’ve all heard of the ‘terrible twos’. 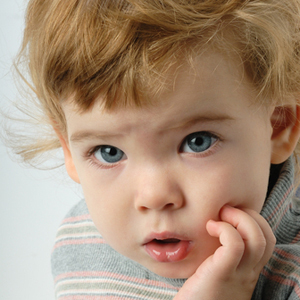 Many parents with young babies wonder if they will cope when their baby reaches his second birthday, and not far behind it, the sadly misnamed terrible twos. But the good news is that two-year-olds are working on reaching some very important developmental milestones. If we can understand them and facilitate them, we can help lay the foundations for a happy childhood and self-confidence as an adult. Believe it or not, one of the most important life skills that a two-year-old is working on is the ability to say, “no”! Up until this time, he has been almost fully dependent on his mother, or the other adults who are taking care of him. Then suddenly, he discovers that he is separate from Mommy. He realizes that he can actually assert himself and have a will of his own, and his developmental timetable is pushing him relentlessly in that direction. So it is very important for the toddler to master this lesson of being allowed to say ‘no’. Knowing he can say ‘no’ if a stranger wants to do something to him that doesn’t feel right, is empowering and will protect him from possible molestation as a child. 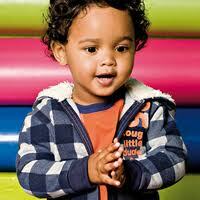 It will also help him to become a positively assertive person as an adult. But the toddler often has a lot of confused feelings about his new ability to assert himself. Part of him wants to become independent and make his own decisions, while another part of him still wants to be dependent on Mommy and doesn’t want to displease her in any way. If we understand that small children are basically social little people who want to please their parents, it gives us a good foundation from which to start. Problems arise only when there is a clash between what pleases the parents, and the developmental tasks that the child is working on. So it helps to understand how the child’s brain is operating at this time, in order that we have some idea of how much the he can understand of what we say or do. With babies, the important thing is to meet their physical needs – like being held, rocked, fed, and loved and played with in physical ways. This is because the ‘feeling’ part of the brain and the ‘thinking’ part of the brain are not yet fully developed. By the time the child is two years old, the feeling part of the brain (the mid-brain) is now more developed, and the child is literally awash in feelings and emotions – in fact at this stage he ‘is’ his feelings. Toddlers are different from older children and adults. In adults, the top part of our brain is fully developed, so that we can ‘think’ about our feelings and if necessary, put them on hold and express them later. Two-year-olds can’t do this yet – all they can do is express them as they happen. When they are happy they will laugh spontaneously, when they are sad they will cry, and when they are frustrated or upset they will have tantrums. 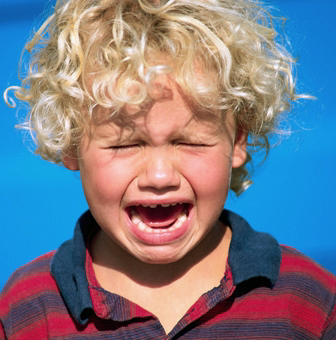 These are all healthy behaviours for toddlers, including, believe it or not, the tantrums. What we need to do is create a safe space in which these feelings can be expressed. The first indication parents may get that the toddler has reached this stage, is when he says, ‘no’ to almost everything, and gets upset if you say ‘no’ to anything! If his ‘nos’ are not allowed, or if he gets a lot of ‘nos’ from you, he may start to cry. It can easily turn into a battle between the parent and the child, and may end up in a full-blown tantrum. This can drive parents to the brink if they don’t understand what is happening. They may not want to be overly strict, but fear that if they give in they are being permissive and raising an irresponsible child. What we need to be able to do is limit ‘behaviour’ when needed, but always allow and accept ‘feelings’. Because your toddler needs to be allowed to say ‘no’ and have his feelings accepted, it is important to let that happen as often as you can – in other words pick your battles, and save the nos for only very important issues. Also there are many areas of life in which we are older and wiser, and we have to say no for practical or safety reasons. At those times it helps to understand what will happen next. What will probably happen is that he may become upset and start to cry. That’s normal behaviour for a toddler facing a big disappointment. He’s not old enough yet to understand why he can’t run out into the road, have that packet of sweets in the supermarket, or play with dangerous objects. He just feels what it is like to be told ‘no’ to something he really wants to do. Because your toddler’s thinking brain is not yet developed, it doesn’t help to reason with him at this time. In fact it will probably make him frantic if you try because he won’t feel heard or understood. When we have to say ‘no’, and stick to it, what he needs most is for us to assist him to process his feelings of disappointment and frustration, which will inevitably result. That can turn it into a growthful experience for both the parent and the child. The first thing we need in that situation is to have empathy. If we can think about how we would feel if we wanted to do something really badly and someone told us ‘no’, then we are on his level and can help him with his feelings. If the child cries or throws a tantrum, it helps if we can understand that this is his body’s safety valve for discharging his feelings of frustration, and that it is important to let him do that. Later when his brain is more fully developed, he will be able to control his feelings and choose when and how he expresses them. But he can’t do that yet. So he may be caught between his body’s need to discharge the frustrated feelings, and his fear of making mommy angry if he does express them. He may also feel overwhelmed by the strength of his own feelings, and need some containment to help him feel safe. 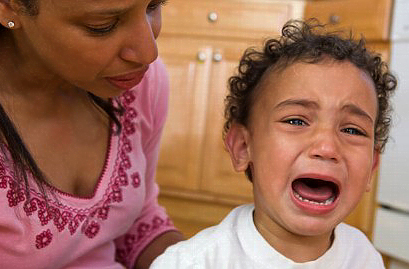 There are a few basic rules that we can use to help and support a crying or tantrumming toddler. The child needs to be allowed to express hurts, angers and other feelings, and not have to stuff them down (which can lead to body tension and later stress-related illnesses). But he also needs to learn that it is not okay to hurt other people in the process. We shouldn’t allow a tantrumming toddler to pull our hair, bite us, hit us or kick us. Sometimes the child needs to be physically held, but at the same time he needs to have freedom of movement. So if we want to hold the child, it is best to hold him firmly around the middle, with his back against our body, so he can thrash around and cry but not hurt us. If the child is on the floor, all we need to do is to make sure that there are no hard surfaces or other objects on which he could hurt himself. When we set firm but healthy boundaries, children will learn that they can be safe. When we respect their boundaries and are compassionate towards their feelings, they grow up learning to have respect and compassion for others. Because he is totally overwhelmed by his inner conflict, the first thing a frustrated toddler needs, is the freedom to cry or express whatever emotions he is feeling. Till that has happened, he is not able to hear anything we might want to communicate to him. We can help by staying nearby, making sympathetic sounds in the background or occasionally, very softly saying simple words like ” it’s okay, it’s okay”, to reassure him. Mostly all he needs is for us to listen. When the crying starts to abate, he has probably reached some level of resolution. Then we can reflect back his feelings to let him know that we understand how he feels, which is actually what he is desperately trying to tell us. We might say something like, “I hear you were feeling upset. You wanted the packet of sweets, and Mommy said ‘no’ “. It’s best not to try to give an explanation about ‘why’ at this time as it only confuses the toddler. His brain is not ready to reason yet. That will come later. It’s enough to simply state (sometimes more than once) what happened and the fact that we understand in a sympathetic way how it made the child feel. Often your toddler will be very relieved that you understand what he is feeling. After he has had a big cry and got all the ‘bad’ feelings out, he may want to come and hug you or cuddle for reassurance. He will cry only as much as his body needs to, and then he will stop. Sometimes the size of the tantrum may also seem to be totally out of proportion with what has just happened. This could be because he had a frustrating day, was hurt by another child, is overtired, or a whole number of factors that can cause tension to build up. It’s not always necessary that you understand what these issues are in order to help him resolve them. It is enough to give him a safe space to get his hurt feelings out, and to let him know that you acknowledge how he is feeling, and that you are on his side. At this young age, children are learning from every experience they go through. We need to make sure that what they are learning is what we want to teach them! This is where the issue of consistency versus bargaining comes in. Sometimes a child will go on begging and pleading for something, even when the mother has said a firm gentle ‘no’ several times. Finally the toddler may start to scream and have a tantrum. If the mother is tired or busy, for the sake of peace, she may finally give in from desperation at the last moment. But afterwards she may feel resentful and manipulated, and the child will be left confused. What we rather want him to learn is, “Life has some disappointments, and I can’t always have everything I want. But when I am upset, my mommy understands how I feel and helps me to deal with my frustration. Mommy loves me even when I am angry or sad, and she is on my side. ” Knowing we are loved and accepted at all times makes us feel safe and secure in the world. We can help children learn that they can say ‘no’. This is a good way to prepare them to be assertive as adults, and be winners in life. We can help children learn that life can sometimes be frustrating and we can’t always have what we want, but we can expect to have our feelings about that heard and respected. This lays down the foundation for good relationships with other people. We can help children learn that it is okay to express their feelings (even the so-called negative ones) rather than bottling them up as tension. We can teach them this by allowing them to express their hurt and angry feelings in a safe place, while receiving our love and support. This entry was posted in Toddlers and tagged child, communication, dealing with emotions, gentle discipline, parenting, tantrums, think and feel, toddlers. Bookmark the permalink. I love this Pat, thank you! The way you approached tantrums i have to say i love it!!!! This is such a great article Pat, I love all your articles. So jam packed with clear information, I just want more and more people to see them. I’m glad I came across your article. It seems to be in line with RIE, which appeals to me. I’m looking forward to reading more in the future. Hello, Found your post only now. I am glad you are enjoying the site. Yes, I am an Aware Parenting Instructor, and we do have quite a lot in common with RIE, especially when it comes to gentle parenting. Thanks for a great article. The principles and suggestions are excellent. However, it is very gendered. Is it possible to replace the frequent use of “mommy” with something more gender-inclusive. Lots of dads would also benefit from reading this article but may be disengaged by the frequent use of “mommy” in such a father-excluding way.